Unbeknownst to many, Southwest offers a companion pass to fliers that earn 110,000 rapid rewards points in a year. Once earned, for the rest of that calendar year and the entire next calendar year after that, any time you buy a ticket on Southwest you can get an additional free ticket for your companion. It’s basically BOGO on plane tickets when you use the second ticket for your companion. The trick here, as a credit card sign-up bonus veteran, is that Southwest was offering (and often will re-offer) 50,000 rapid reward points in exchange for signing up for their credit card and spending $2,000 on it in the first three months. Further, they offered this on both their business and personal cards, which meant with that you could accumulate 100,000 bonus points (in addition to the 4,000 you acquired for meeting the spending limits), leaving you just 6,000 points short of a companion pass. It’s easy enough to sign up for a “business” card with any hobby you have (selling things on ebay, etc), so I picked up both credit cards in November and made sure not to cross my spending limits for the 100,000 bonus points until January (the 110,000 points you need for the companion pass reset every year). After spending the extra $6,000 to get to 110,000 bonus points in March of 2014, I was now set with a companion pass for all of the rest of 2014 and the entirety of 2015. I also had the 110,000 points to use with it (the companion pass works with RR points bookings as well). As Utah winter finally started to come to an end, Stacie was determined to get to a nice warm beach, so we decided to make Puerto Rico our first companion pass destination. 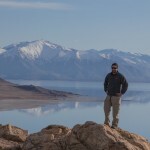 The way the companion pass works is that you go in and book your regular ticket first, then go into your Southwest account and choose to add a companion ticket to the trip. At that point it will take you through the checkout process again for the companion, only this time with no cost at the end (except the typical taxes which run about $5). Because it works this way, you can actually book your ticket before you have the companion pass fully earned and then go back and add the companion when you’ve earned the pass. The only risk is that the flight fills up before you earn the companion pass, but with Southwest’s generous cancellation policy you really have very little to lose. The prices for flights from Salt Lake to Puerto Rico were going up fast, so this is what we did. The “Wanna Get Away” fares were already all booked for the trip out there, but were available for the trip back. That left us having to choose business select for the trip out and RR points become very devalued when purchasing business select tickets, so we spent the $631 on the trip towards San Juan, and RR points for the trip back to Salt Lake. Because of this we got to see how the companion pass worked with both dollars and points. The answer for both of those is “easily”. I just logged into my Southwest account, looked up my trip, and elected to add a companion to each leg of the trip. Two minutes and $10 later Stacie had her round-trip tickets to Puerto Rico. Going through the process we found or discovered the answer to several commonly asked questions about the companion pass, so before wrapping up allow me to address those quickly. Can someone with a companion ticket check-in online? Yes, a companion can check-in online just like they would if they had a normal ticket. The only difference from the typical online check-in process is that you and your companion will have separate confirmation numbers so you will have to check-in once for each of you. Do you need to bring your Southwest Companion Pass card with you? 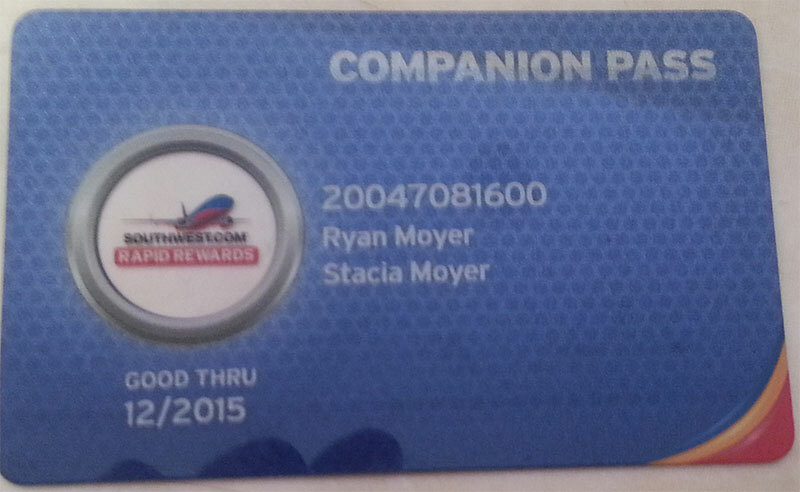 When you earn your companion pass, Southwest sends you a plastic card with your selected companion’s name on it. You’re supposed to bring this with you to check-in. Since many people book their trips for soon after they earn their pass and haven’t gotten their card in the mail yet, there is some concern as to whether or not the card is actually needed. The answer is probably not, so long as you take the necessary steps to avoid the companion doing anything in person at the airport. Make sure the companion checks in online instead of in the airport (printing the boarding pass at the kiosk in the airport is fine) and if the companion needs to check a bag just have the primary person do it for them (remember, you get two free bags on Southwest). In our case, we had our card and brought it with us, but since Stacie checked in online and wasn’t checking a bag we were never asked for it. Does the companion ticket get all the perks of the original ticket? No. A companion ticket is a plain ticket similar to those you’d buy with a “Wanna Get Away” fare, regardless of what kind of ticket the original purchaser buys. For instance, on the way to Puerto Rico I had a business select ticket which gave me priority boarding, two free drink coupons, and fly-by security lane access. None of these perks transferred to Stacie’s companion ticket. Likewise, on the way back I paid the $12.50 for early boarding, which again did not transfer to Stacie’s companion ticket. To get early boarding she also had to pay the $12.50 upgrade.